I see there are a few unanswered questions. rmba: It depends when in May you come and what the water temperatures are at that time. Late May to mid June is in my opinion some of the best smb fishing of the year, though the fishing is good most of the open water season. The time I mentioned is prime time and the fish are found in shallow water(1-4') on mid lake shallow flats and along rock/sand shorelines. There are a lot of ways to catch them: rubber worms hooked wacky style,tube jigs,hard body crank baits(2-2-1/2" square billed,crayfish colors, lot of brands work) and when the water warms my favorite, various top waters.Throughout most of the season other than when they are real shallow they are commonly found in 8-12' relating to both wood and rock structure. My favorite rod for bass, a ST. Croix bass series Legend Tournament medium power moderate action 7'2". Catch and release bass season opens May 7th catch and keep 3rd sat. in June I believe the 18th. IMPORTANT new regs for the Turtle Flambeau Flowage 5 bass(combination of smb or lmb) can be kept this year either all under 14" or 4 under 14" and one over 18". previously 2 over 15". The new regs will be posted at the landings. provolontone: camping question ,there are 64 sites, they are denoted with a letter and a following number. all have a pit toilet and all have a fire ring with a grate. 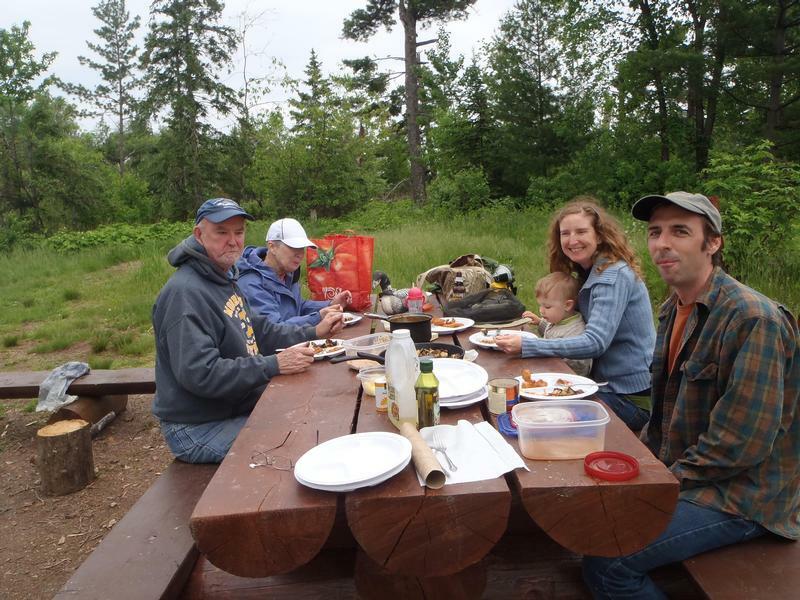 F sites have picnic tables as do G sites (for larger groups) and B sites which are reservable for a fee. The busiest weekends are opening weekend, Memorial weekend and 4th of July. You will find a site though probably not your first choice and you may have to search one out. You can obtain a free map by contacting the Turtle Flambeau Flowage Association. In addition to this free map I advise people to buy a fishing hot spots map to help them avoid hazards (the contour lines are a little more detailed). There is an interactive map of the TFF on my web site on the "docs" tab. 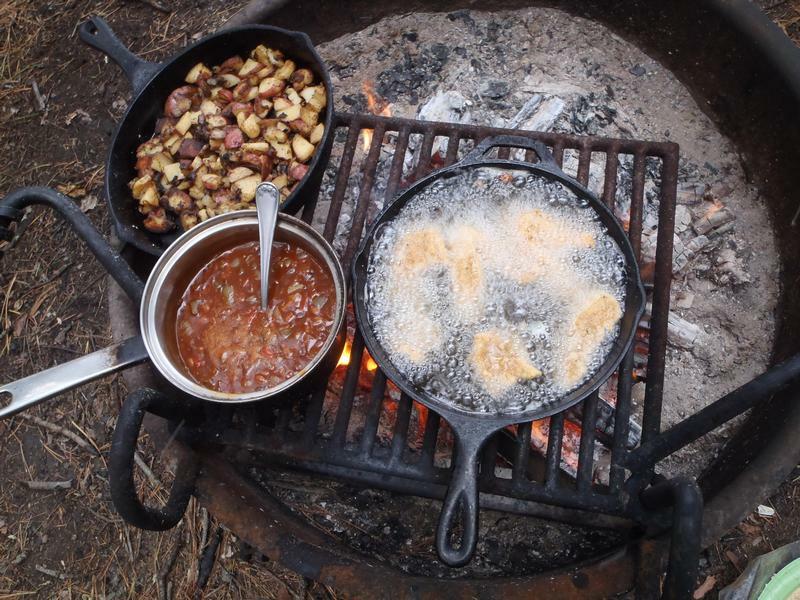 I always camp opening weekend I have a trip in the morning then the rest of opening day available if anyone is still looking for a guide, will pick up at landings,resorts or campsites. 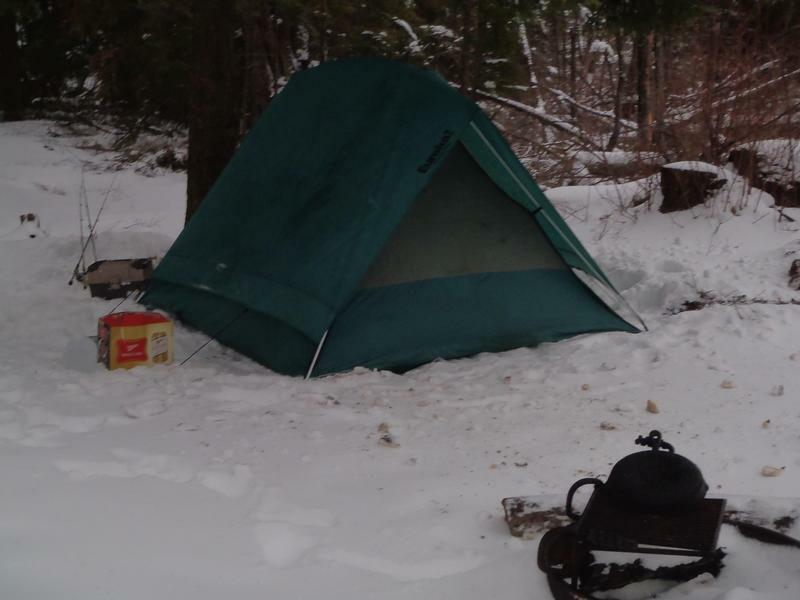 Looking forward to opening weekend, picture of camping in the snow a few years back on opening weekend, I don't think we have that to look forward to.